hi, i got 140/250 ib ibps clerical, belonging to minority , will i be able to get a job in bank? 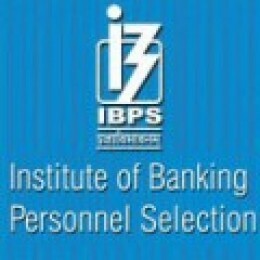 Re: 140 marks in IBPS be sufficint to get a job in bank? -->> Congratulates for passing IBPS Clerk CWE. -->> But dear your score 140/250 is average score. -->> More then 5 lacks candidates have been passed in this exam. -->> The candidates who have scored 24 or more in each section is considered pass in this exam(21 or more for reserved classes). -->> Means there whhere total 5 sections in written exam all equally of 50 marks. -->> More candidates have score high from you. -->> And also the clerk paper was easy so merit or cut-off for interview will go high. -->> So your chance for interview attending is very low, in my opinion 10%. -->> So dear lets wait and see the cut-offs of some upcoming bank's interview cut-offs. -->> If you see some chances then apply for next bank, otherwise next exam will be in August, 2012.
i get 150 marks in ibps clerk n belong to general categary from rajasthan. is there any job possibility for me? of the candidates wil be done on the basis of interview. hellow sir i got 134 marks in clerical exam pls tel me about selection in which banks.? my self have got 135 marks.. in sc category..
but i dont think marks above 150 r going to called for interview this is reality face it up..
i ve got 167 marks in ibps clerk exam?i belong to general category.what r my chances of being called for interview?is it a good score or not? i got 114 marks in obc category shall i select interview round or what...? And yes 140 marks in IBPS is sufficient to get a job in 19 banks. now the cutoff marks for each subjects. 4.general awareness-30 to 32 marks. Good Afternoon sir i got 149 marks in clerical exam general category is it possible for getting an interview call? got 182 marks in IBPS Clerk. Any chance of grtting job in 19 public sector bank. sir, my ibps clerical score is 138 and i belongs to sc category . how much chances i have in getting interview call. sir, my ibps clerical score is 138 and i belong to sc category . do i have any chances of getting a interview call. -- So there will a total of 250 questions and 250 marks which you have to answer in 150 min , and you have to mainly solve each and every paper in order to qualify in IBPS CWE. -- Dude if you get good score is not enough in IBPS CWE for Clerks , besides these you have to get minimum marks in each paper so that only you will awarded with Rank and there is no consideration of an aggregate mark if you fail in One paper also. -- So in my opinion you have to score minimum 50% mark in each and every paper and the cut off marks depends upon the Paper that came during the examination. -- If the paper appears tough then the cut off mark will decrease if the paper is easy than the cut off mark will increase. friend .. there are many banks which are inviting 140-120 marks scored candidates for interivew so u can also apply . If u didn't get very good marks then it doesn't mean that u cannot selected . There is interview round where u can score because final selection depends up on the score card marks and interview collectively . I advice u to prepare for interview if u will be good or best in interview then u can be selected . Banks like Bank of baroda , indian bank , bank of maharashtra , union bank are inviting your marks scored candidates . i secured 140 out of 250 in genral category. is it possibility to get job in any nationalized bank? SIR I GOT 158 MARKS IN IBPS CLERK GENERAL CATAGORY FROM UP IS THERE ANY CHANCE TO GOT SELECTION? sir i got 158 marks in ibps clerk general catagory from uttar pradesh is there any chance to got selection? Dear sir i have got 128 number beloning to obc coteggeri in ibps plz tell me that have any chance for interview in bank of baroda. dear sir, i have got 150 marks in ibps clerk, i am belongs to obc catogory , tamilnadu.